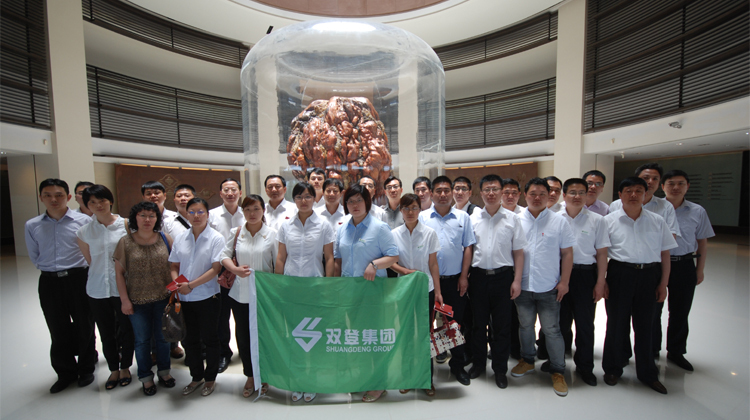 SHOTO Group’s 29 middle and senior managers and managers from member companies embarked on a 6-day Taiwan innovation study tour from May 26, 2013. The 50 years after China’s civil war have seen rapidly growing enterprises in Taiwan. Mostly private enterprises, Taiwan enterprises are excellently managed. In face with the narrow local market with scarce natural resources, savvy Taiwan entrepreneurs have managed to boost the local economy through import substitution, export expansion, restructuring and liberalization reform. By far, Taiwan manufacturing industry has been ranking among the top in Asia in terms of types and Taiwan technology industry has become known across the world. Through a visit to and an exchange with such big-name enterprises as Askey (Asus), Qisda (Benq), Delta Electronics and Formosa Plastics, this 6-day tour has allowed our visitors to gain a deeper understanding of the innovative management ideas, standard management regulations and modern management tools of Taiwan enterprises. According to Asus Chairman Jonney Shih, “Innovation is the life of Asus. It’s integrated in our business operation and in the tiniest details.” Innovation is also the focus of our delegation in this tour. Our delegation had seen how Asus insists on continuous innovation, pursues the perfection of science and aesthetics, understands customer demands, and marvelously delivers perfect products and experience. From Benq, our delegation had learned how to closely follow market trends and global changes to present trendy product designs and ideas. In Delta Electronics, our delegation was impressed by the business idea of “zero product defects” and “total customer satisfaction” and the commitment to overall quality management to make it right the first time. The trip to Formosa Plastics had offered an opportunity to appreciate the tough growth path of Taiwan’s No.1 private enterprise and the noble character of Mr. Wang Yung-ching, “God of Operation”. The corporate culture from “industrious and hardworking” to “aim for perfection”, to “common survival and prosperity” and to “give back to community, business continuity” is periodic yet forever true, practical and forward-looking. It has helped developed a strong sense of belonging of their employees and shaped their commitment of “careful management, conscientious and responsible”. After the study tour, our management and delegation members had exchanged what they learned and explored in what aspects we could be on par with the world-class enterprises and how to make it happen. It’s agreed that all “excellent” companies have a keen insight and know how to effectively acquire adequate cash, market shares and high profits, and continuously maintain operational performance, and are committed to business igniting the passion of employees. SHOTO believes that we can enjoy the achievements brought by innovation and continuous efforts if we work together to accomplish our mission.